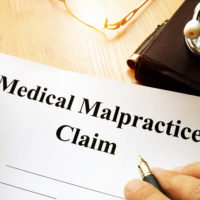 Medical malpractice lawsuits are some of the most difficult cases to fight. They are very costly, as they require expert witnesses and other expensive evidence. They are also time-consuming, often dragging on for many years. On top of that, injured patients rarely win cases. The courts tend to side with the medical professionals. This was the case for a former emergency room doctor from Treasure Island. He was accused of medical malpractice back in 2007 and, more than a decade later, he has finally prevailed in court, clearing his name. The case, which involved the death of a patient, was recently tossed out by the Second District Court of Appeals. The court ruled in favor of the doctor on November 14. A judge from the lower court had already decided in favor of the doctor. The case then moved up to the Second District Court of Appeals, where three judges ruled that the expert witness did not have the qualifications to give an opinion of the doctor’s treatment of the patient. The incident first started in 2007 when the female patient walked into the emergency room of St. Anthony’s Hospital, where the doctor was the attending physician. The patient was suffering from coughing, wheezing and congestion. A CT scan showed that the woman had a goiter, which is a large thyroid. The doctor said there was nothing to worry about and sent her home. The woman died 12 hours later. According to an autopsy, the woman had died after the goiter compressed her windpipe. Just under two years later, her husband fought to sue the doctor for medical malpractice. Under Florida law, a patient suing for medical malpractice must find a qualified physician who can assert that the doctor was in the wrong and should have done something differently. The doctor that the man’s lawyer chose claimed that the doctor should have examined the patient’s neck. There was debate over whether or not the doctor met the requirements. He had not worked as an emergency room doctor since 2001. However, the plaintiff’s lawyer argued that the doctor had worked in the ER for a long time, plus he served as a hospital administrator. Finally, in 2017, the court ruled that the doctor was not qualified. The judge would not allow the plaintiff to file the case again, even with a different expert. The lawyer appealed the case and the court ruled in favor of the defendant again. The lawyer has the option of appealing to the Florida Supreme Court. Medical malpractice cases are very tricky to win. They involve a lot of elements and it is extremely difficult for an injured patient to prevail—even when an experienced lawyer is on their side. If you or a loved one has been injured or killed by a doctor’s negligence, seek legal help right away. The Dade City medical malpractice attorneys at Mander Law Group will aggressively fight your case and hold the liable parties responsible. Schedule a free consultation today by calling (800) 557-0411.